After a long tiring work day, wouldn’t we all just love to get our feet pampered and cared for? I know that’s what I want. The fact is, our feet take the brunt of our effort and physical exertion. So no matter what job you might work, your feet are likely the most worn out and tired part of your body. While spas are a great way to care for your tired feet, we don’t always have the time or budget to head down to a local massage spa after work. That’s why I find it much more practical and cost-effective to invest in your own at-home foot massager. My best pick? The Homedics FMS-270H Deep Kneading Shiatsu Foot Massager. This top rated foot massager boasts a number of features that put it above and beyond any other foot massager I’ve tried in the past. So it’s definitely earned a spot in my daily self-care routine. 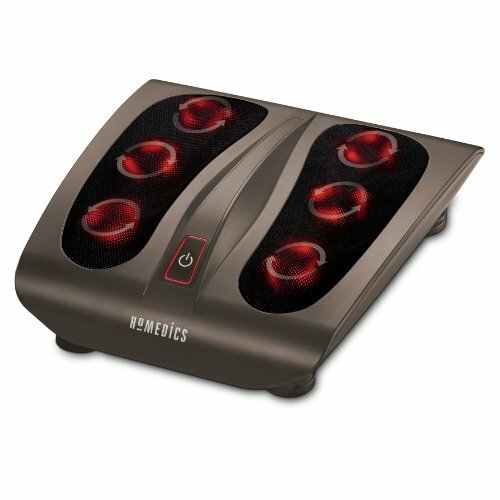 If you’re interested in buying your own foot massager for home use and you’re thinking about copping your own Homedics Foot Massager, here’s a complete review on why it was nothing short of a dream-come-true for me. First impressions of the Homedics Deep Kneading Shiatsu Foot Massager might have you thinking it’s some sort of sci-fi movie prop. No doubt, it does look quite a bit futuristic with its red lights and sleek, chocolate brown body. Turned off, the device has six circular protrusions peeking through the black fabric across its top surface. These are the massage nodes that move and rotate to give you that Shiatsu massage experience. In the aesthetics department, it’s definitely not a bad looking device. With its smooth, semi-matte finish and deep brown color, you can keep it on display in your room or bathroom without worrying about disrupting your décor. 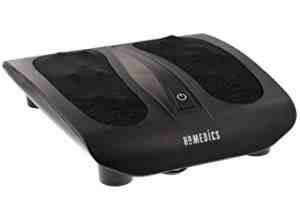 Unlike other massagers on the market, the Homedics FMS-270H doesn’t feature any massage customization controls. This simply means that you can’t adjust speed, movement cycles, or set the time. For some, it might seem like a drawback. But that only makes the FMS-270H easier to use. Across the front of the device is a single power button that switches the machine on and off. Just pressing the button starts the massage, and pressing it a second time turns it off. I particularly like this straightforward and hassle free operation. After all, who really wants to spend all that time tweaking massage settings when you’re feet are begging for a quick session? Plus, the button is big enough to touch with your toe. So you can bring the machine to life without even having to bend down for it. Shiatsu is a specific massage practice that entails deep kneading to achieve muscular relief. So there’s not poking, pressing, or prodding involved in the process. Despite just being a programmed machine, the Homedics FMS-270H does a fantastic job at replicating the Shiatsu massage experience. To do this, the device comes with 6 rotating massage heads – 3 for each foot. The heads have 3 node protrusions each, giving the heads an uneven surface that allows it to knead and stroke the feet just like a Shiatsu masseuse would. The result is a slow, relaxing, and calming experience that can easily soothe your feet. Another thing to love about the FMS-270H is that it develops gentle warmth as it massages your feet. This is highly beneficial as warmth has been proven to be a great solution against pain and injury. Warmth increases the circulation of blood to your feet, encouraging better recovery and pain relief. The warmth feature on the FMS-270H doesn’t require any extra controls or settings, and automatically turns on when the device is in operation. This makes it super convenient, allowing you to get the optimal massage experience with every use. I think the FMS-270H is a great at home massage machine because it offers a complete package. The fact that it doesn’t incorporate a lot of fancy bells and whistles simplifies the device all together. 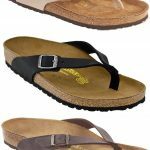 Plus, it really does provide an authentic kneading massage that’s both relaxing and beneficial to your feet, making it an effective solution for everyday feet aches. The FMS-270H is the ideal pick if you’re a tired worker who just needs some well-deserved foot pampering at the end of every day. So if you’re the kind of person who doesn’t want to deal with complicated operations and you really just want a massage quick and easy, the Homedics Foot Massager could be the perfect choice for you. Ultra simplified operation allows users to get a full-on foot massage without too much effort and preparations. Easy one touch button big enough to be operated with your toes, making it easy to start and stop the massage cycle without bending down. Sleek, aesthetically pleasing body allows you to keep the massager on display in your room or bathroom without compromising décor. Warming feature adds greater benefits to your use of the massager, improving recovery and relieving pain much faster. Massage heads and nodes accurately replicate the Shiatsu massage strategy for a satisfying and calming experience. Doesn’t have a built-in timer, so users will have to manually turn the device off. Some users would have preferred at least speed adjustment to customize the massage experience. If you’re not sold on the FMS-270H, don’t sweat it. There are a few other at-home foot massage devices that might fit your fancy. I’ve personally tried these machines as well, so I can guarantee they’re almost as good as the FMS-270H. So if you’re in search of some other viable choices, check out these three close contenders. There are some folks that like intense massages, and the MedMassager MMF06 11 Speed Foot Massager caters to this special niche of buyers. This massager features an oscillating board with evenly-spaced, square shaped pressure relieving nodes that vibrate and massage your tired feet for a relaxing massage experience. The device can be set to 11 different speed settings, so you can get a customized massage that suits your preferences. Along the top of the machine is a solid bar that you can use to rest your feet’s arches to further improve the quality of your massage. 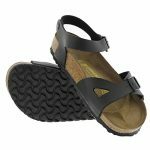 Heavy duty, durable, and intense, the MMF06 is the ideal companion if you want something that really penetrates deep into your feet for an intense massage session that meets your needs. Durable construction ideal for rigorous everyday use for extended periods of time. Adjustable speed settings give you a massage experience that caters to your specific preferences. Oscillating board vibrates and provides specific pressure point targeting with its textured rubber surface. Comes with two different sets of feet that make it suitable for use on wood floors and tiles. Simple operation makes it fast and easy to get a foot massage whenever you need one. Doesn’t have a built-in timer. May not be as aesthetically pleasing as the FMS-270H. Heavy and bulky, difficult to move around in your space. 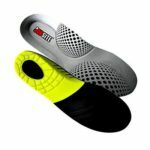 In my search for the best foot massager on the market, I found the TheraFlow Foot Massage Roller. Inexpensive and compact, I gave it a try and was pleasantly surprised. This small thing exceeded my expectations all together. 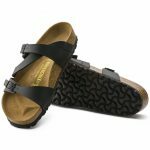 The small wooden massager was designed for people with plantar fasciitis, but it really works well as a standard foot massager nonetheless. The small contraption features two segments fitted with seven rolling nodes each. All you need to do is press your feet against the massager and roll the textured segments against the soles of your feet. Needless to say, the entire experience is relaxing and satisfying. Plus the fact that it’s super affordable means you can get a great massage at a pocket-friendly price. Simple, easy, and fast use – just set it on the floor and press your feet against the rollers for a top notch massage. Compact and portable, so you can bring your massager wherever you go. Energy efficient and cost-effective, without the need for any sort of power source. Affordable, so you can purchase one without worrying about buyer’s remorse later on. Completely manual operations can be a hassle for some users. To increase pressure, users need to press harder on the rollers. This can cause strain on the backs of the knees and the calves. Now, because of the clamor for a customizable at-home massage experience, products like the Miko Shiatsu Home Foot Massager Machine have become a popular choice among buyers. This machine features a whole lot more settings compared to other devices available. Different buttons allow you to change different aspects of the massage experience so you can truly enjoy each session. Along the front of the device is a complete control panel that allows you to adjust pressure, heat, kneading, and power with a single press of its dedicated buttons. Two cave-like structures accommodate your feet and give you a massage by way of several moving nodes that apply pressure all over your sore feet. Highly customizable massage experience, perfect for those who want a different feeling every time. Easy operation with dedicated buttons makes it easy to start a new massage session. Superior massage feel, able to mimic a genuine spa treatment. Quite bulky and large, difficult to move around in your home. Prone to odors and bacteria build up because of its difficult to clean design. In my opinion, the Homedics FMS-270H Deep Kneading Foot Massager still takes the cake as the best at-home foot massager on the list. It’s straightforward, easy, and convenient, perfect for that end-of-the-day dose of relaxation. If you’re in search for something a little different though, you can check out the MedMassager MMF06 11 Speed Foot Massager, the TheraFlow Foot Massage Roller, and the Miko Shiatsu Home Foot Massager Machine. 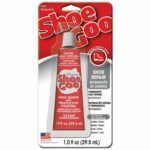 Whichever one you end up choosing, you can be sure you’re getting a top quality product that’s guaranteed to ease away your every foot pain.